For the summer we plan to bring together 150 artists who have submitted an original work of agrarian art honoring the state of Nebraska. 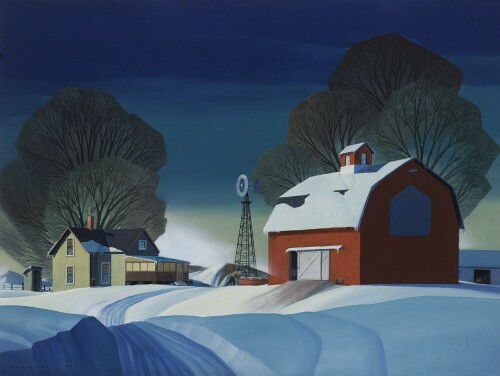 This major exhibition and sale celebrates Nebraska artists, their craft, and this great state. Beginning in May, we anticipate an online feature of this exhibition to allow patrons to purchase the artworks in the show. A closing reception event will take place the weekend of July 29- 30, 2017. Description: Bone Creek Museum of Agrarian Art in David City, NE is the nation’s only exclusively agrarian art museum presenting art that connects people to the land. Exhibitions and related events such as artist talks, panel discussions, art workshops, poetry readings, humanities presentations, and musical performances celebrate the heritage and current themes of rural and farm life. David City is the hometown of nationally recognized Regionalist artist Dale Nichols whose work is the heart of the permanent collection.